We hope you had a joyful holiday season, and that the new year is off to a terrific start. As you can see, Camp went from being a frozen wonderland to a soggy, foggy scene overnight. 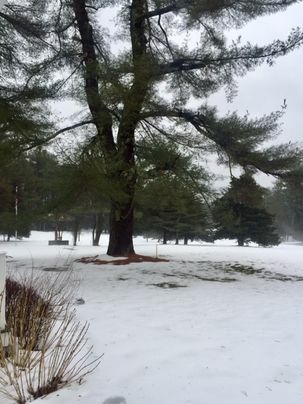 (Mark Twain wasn’t kidding when he wrote, “If you don’t like the weather in New England now, just wait a few minutes!”) And yet, Camp’s beauty is a sight to behold in any weather. We love looking out onto the property and envisioning what it will look like (and sound like!) 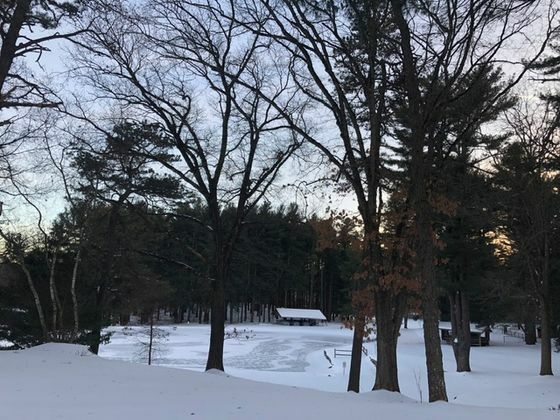 when the pond is thawed, the ground is green, and the sounds of cheers, chants and laughter can be heard from all corners of the property. In short, we miss our campers! YOU are our reason, and our inspiration for working to make Summer 2019 the best one yet. It’s a big one for sure, as this summer marks Camp Sewataro’s 60th Birthday! Yes, we’re celebrating sixty years of “summer as it should be,” and we can’t wait to share this milestone with you. Until then, be well, stay dry and warm, and know that we’re thinking about you. Feel free to leave a comment or share a memory below – we love hearing from you!